"Another fun visit to Scumble River..."
Skye Denison Boyd is on maternity leave but that doesn't stop her from helping her intern cope with their troublesome and difficult principal. Meanwhile, she and her husband, Wally, haven't yet decided on names for the twins and the christening is approaching. A meeting to discuss the christening is interrupted by a loud boom and now Skye finds herself embroiled in yet another mystery in her role as the consulting psychologist to the police department (and wife to the police chief). Was the explosion directed towards the bowling lanes and their gambling machines or was the intended target the dead body found inside the bowling alley? DIE ME A RIVER is the second book in the�Welcome Back to Scumble River series that reboots Denise Swanson's phenomenal�Scumble River Mystery�series. I love Scumble River with all its quirkiness! Whether it's the Doozier clan or Bunny and her shenanigans or some other craziness Denise Swanson cooks up for us, every trip to Scumble River leaves me feeling like I've spent time with friends, albeit some who are more than a bit eccentric. One of the things I love most about Denise Swanson's writing is her authenticity. She was a school psychologist in the past and her knowledge of the field of education shows in her books. I couldn't help but give a squeal of joy for her use of the McKinney-Vento Homeless Education Assistance Act, never mind watching Skye advocate for a student under that law. Denise Swanson always writes an entertaining story and DIE ME A RIVER is yet another prime example. I've been a longtime fan of Skye Denison and I love seeing her become a mother while continuing to juggle her other duties. 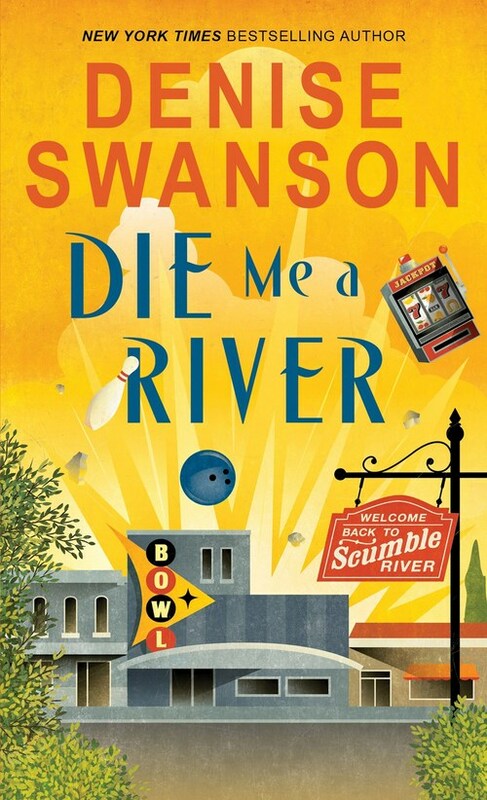 Cozy mystery fans who haven't sampled the� Welcome Back to Scumble River�series would do well to give DIE ME A RIVER a try. I'm already looking forward to my next visit in Scumble River!